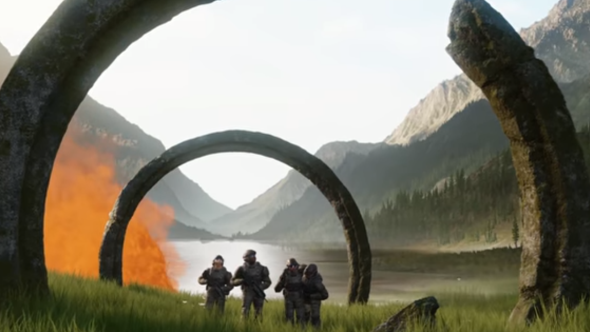 Halo Infinite is coming to PC but the details regarding that have only got hazier since that announcement. The impressive on-stage reveal we got at Microsoft’s E3 conference this weekend was in fact an engine demo, and further rumours suggest the next Halo will launch without multiplayer. Here is everything we know about the Halo Infinite release date. To see what all the fuss is about, make sure you watch Halo Infinite’s E3 trailer, and catch up on everything that happened at the Xbox conference. Beyond that, there’s a rumour doing the rounds about the eventual shape the game might take. Brad Sams, the editor of Thurrott known for reliable Microsoft leaks, suggests that the single-player portion of Infinite could arrive by the end of 2019 at the earliest – with multiplayer expected later in 2020. We’ve contacted Microsoft for comment. Whether or not there’s any substance to that rumour, Halo Infinite is clearly some time off and its form is still in flux.